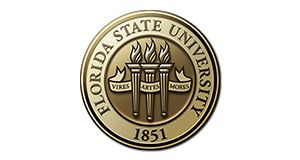 The Energy Engineer for Florida State University is Nariman Nusserwanji. His role requires involvement with a variety of new building and retrofit projects with the goal of reducing total energy usage. The energy engineer plans and coordinates the campus energy conservation program. This includes formulating and recommending policies and procedures to effectively administer the University's efficient utililization of energy. In addition, the energy engineer manages the recurring energy fund that support ongoing conservation efforts. The energy fund capitalizes projects that have a payback of 7 years or less. One key function is to review engineering studies, design reports, plans and specifications. The energy engineer also works with University project managers, architects, and engineers to ensure the University is obtaining energy efficient designs that comply with applicable energy conservation requirements. The energy engineer also monitors campus energy consumption and develops reporting tools that clearly explain how energy is being used on campus. Since the use of energy also generates greenhouse gases, the energy engineer play a key role in improving campus sustainability. In fact, every reduction in campus energy usage has a huge impact on the reduction of greenhouse gases.